Enhance your look with these dark Austrian Swarovski crystal cufflinks. Three square-cut crystals are framed in the center of this jewelry. Clear black and gray gems come together to create a blend of light and dark. The quality set adds interesting shading to your look. The crystals are made from black diamond and jet to create a unique looking piece. These cufflinks are designed with a whale back and have SOHO engraved on them to mark them as part of the Michael SOHO collection. 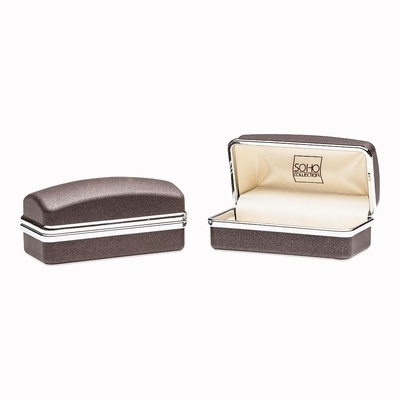 They come in a chocolate brown gift case, just another reason why they make terrific gifts. 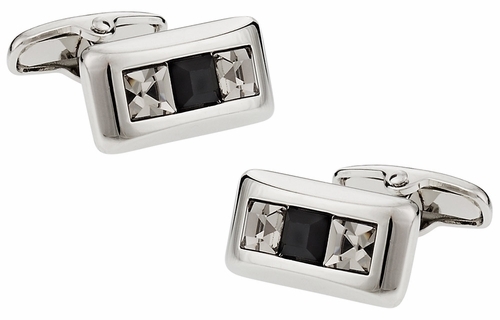 These cuff links are great for those that want to find something very elegant and nice. I like how the design shows sophistication and yet so simple.